Thousands of consumers rise to the challenge through our ‘Can you tell the difference’ campaign comparing canned and fresh food. The campaign generated 5 pieces of national coverage on the day of launch and extensive online engagement – 500m online readership. When Fearne Cotton said on Radio 2 that she avoids tinned foods, giving the impression that canned food is a lesser alternative to fresh foods, the Metal Packaging Manufacturers Association (MPMA) wanted to strike back. We helped them reach the right audience quickly and efficiently with an engaging campaign ‘Can you tell the difference’. Featured in the Daily Mail, Daily Record, Yahoo News, Daily Mirror, Sun and a host of other online and print titles, our video scored a huge hit and was backed up with research to add hard-hitting metrics to the video messages. We proved that hundreds of people can’t tell the difference between meals cooked from fresh or canned food, demonstrating that canned food is nutritious and tasty. 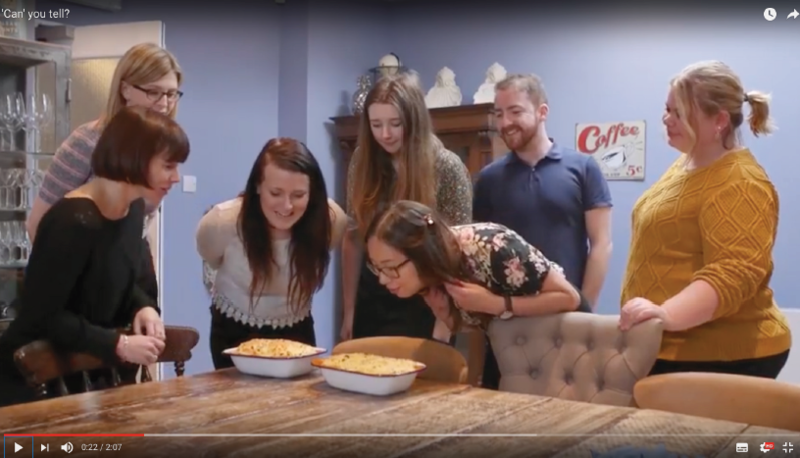 Supported by an ongoing influencer programme where we work with some of the UK’s top 100 food bloggers, we help the MPMA keep the bene ts of canned food front of mind among consumer and business audiences. London South Bank University How to get your message across, nowadays – building trust.